Change is hard for products stuck in the past, but for a company that’s brand new it may be easier to look modern and get things correct right from the start. Take for instance, sports nicknames. If I started a new professional sports franchise, do you think there’s any chance I’m going to choose an antiquated and offensive team name like the Redskins, Indians, or Chiefs? 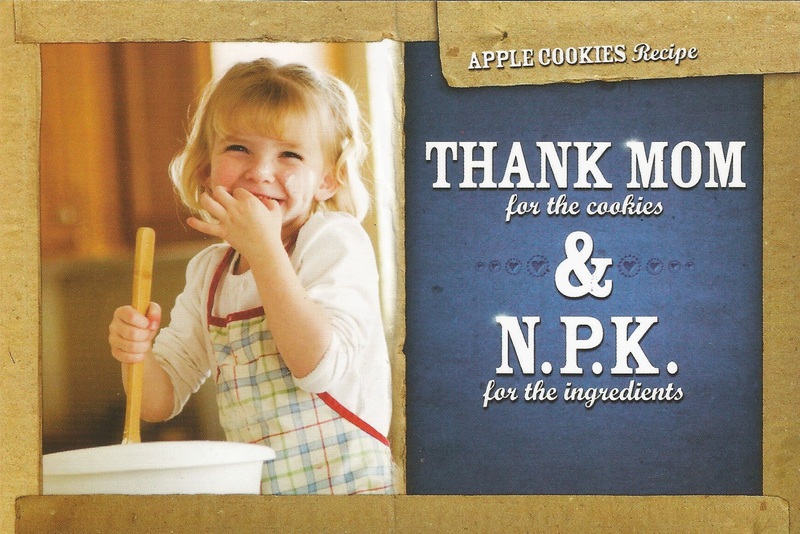 So what in the name of Jif Peanut Butter is going on with new children’s medicine Dr. Cocoa? 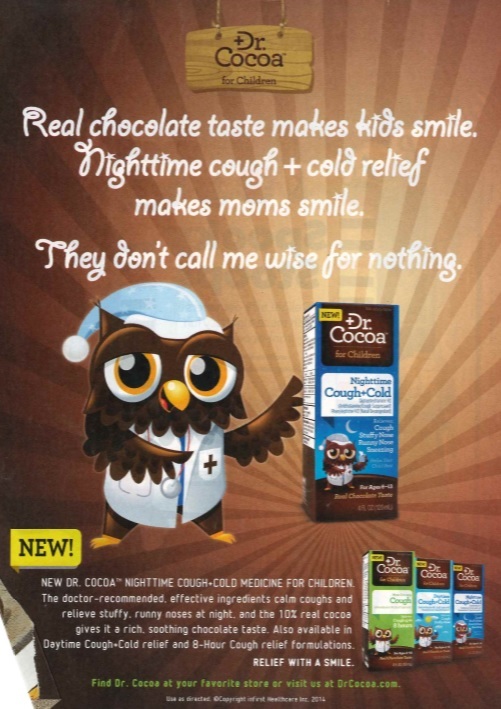 If you’ve been unlucky enough to get your hands on a copy of the October 2014 Parents magazine, you’ll notice that there’s an ad for a new kids medicine called Dr. Cocoa (pictured). 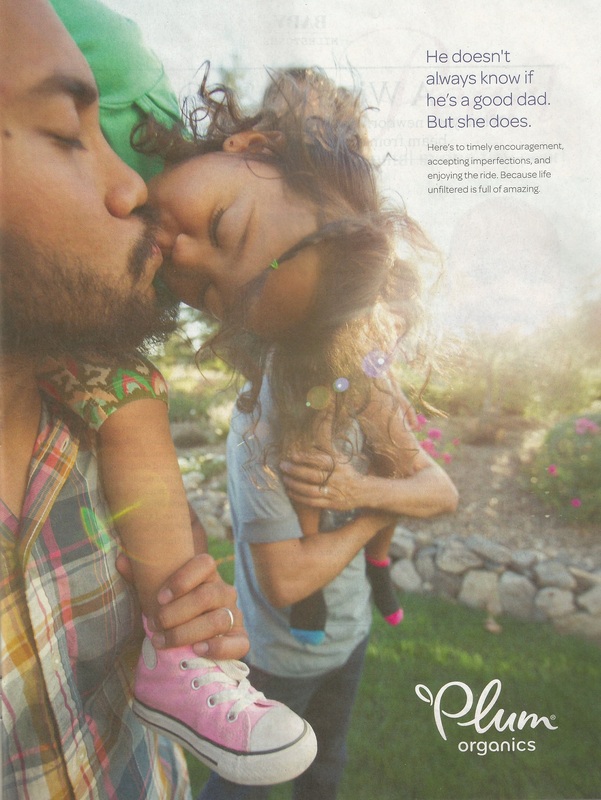 In Dr. Cocoa’s advertising world, dads simply don’t count. Dr. Cocoa continues to perpetuate the unfortunate notion that dads don’t really take care of sick kids at night. 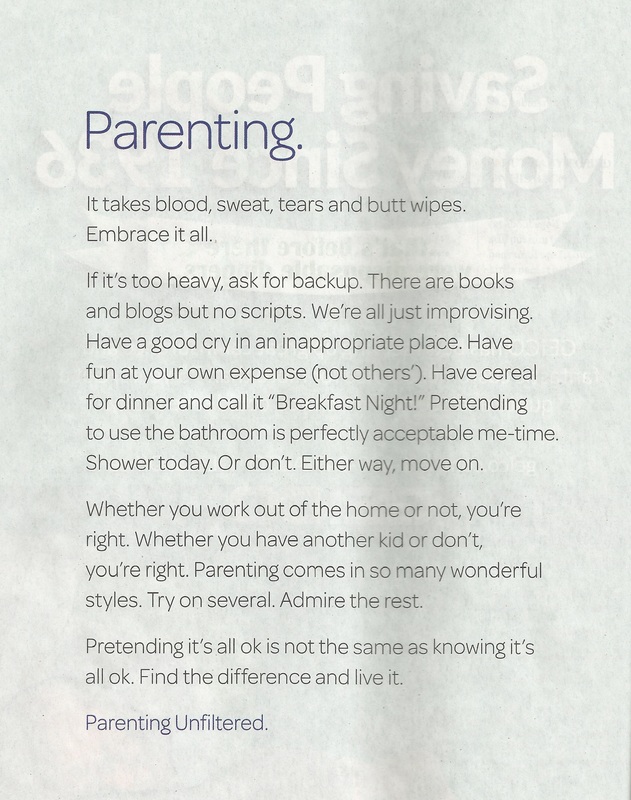 That’s supposedly what moms do, and dads are pinch hitters at best. There’s nothing like introducing a new product with a decent premise and completing blowing the premiere by alienating dads right from the start. And I thought owls were supposed to be “wise” creatures.